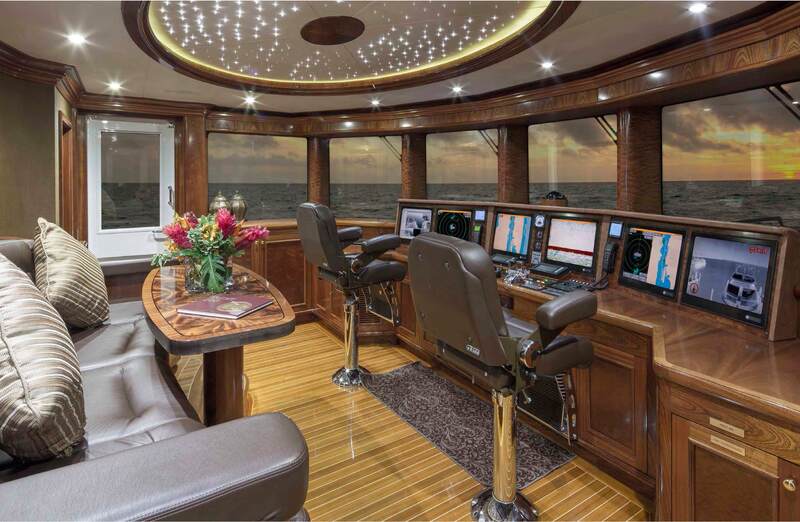 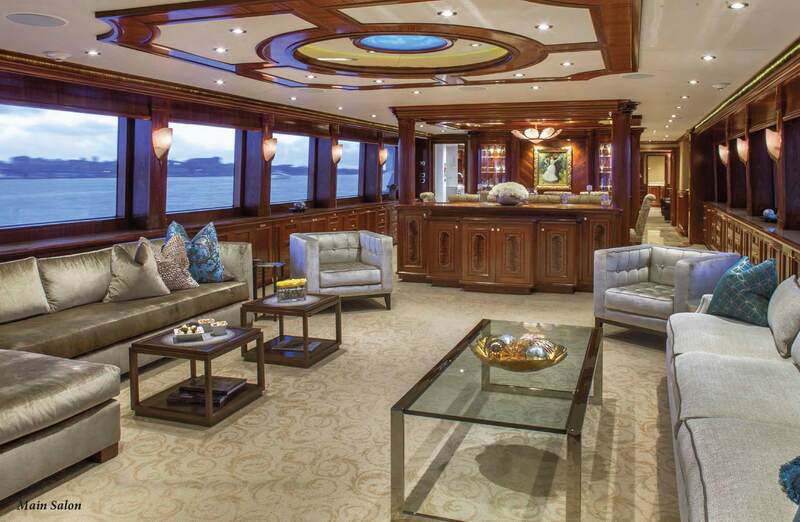 There’s much to like about the handsome 150’ Richmond motor yacht, EXCELLENCE, built in Canada in 2010 and aptly nicknamed “an American Gentleman’s Yacht:” her delicious wine red leather headboard in the sumptuous full-beam, main deck master cabin; her rich brown leather overstuffed arm chairs in the private sitting room in the master; her interestingly-colored gold/lime-green, modern velvet couch with smoke gray sheen in the beautifully appointed main saloon; her super-enormous VIP guest cabin located upstairs on the bridge deck, complete with King bed, private balcony, and enormous marble bathroom; her personable, American captain, Tom White, from Louisiana, whom guests immediately feel comfortable with, who heads a young, fun team; her chef Eric Davis who won first place for his entre in the cooking competition for yachts in Excellence’s size range during the charter yacht cook-off in Antigua in December, 2016 and who will send guests a personalized menu if guests give him their preference sheet in advance; her dive instructor crew member, who will dive with guests, using Rendezvous dive companies ashore; her water slide, Jet Lev, and two Jet Skis, in addition to water skis, slalom skis, wakeboarding, tube, banana, “Jobe Lunar,” snorkeling gear, etc., ideal for children; her saloon with TV, Wii, Xbox and Karaoke; her sumptuous spacious sky lounge, where guests enjoy games, cocktails and movies; her magnificent sun deck that is wholly dedicated to guests use, complete with Jacuzzi bar with stools and deck bed, two groups of cocktail seating, full bar with stools under an arch offering shade, day head, and chaise lounges aft; a dedicated bridge deck office with exercise equipment (internet packages may be arranged in advance); her amazing collection of oil paintings in gold frames throughout; her marble stone in each of the guest bathrooms as well as in the foyer on the accommodation deck, complete with help-yourself drinks fridge, chocolates, and snacks; not to mention her two beautiful, “designer” upper and lower aft decks with furniture groupings that are delightful – spaces that seem larger than on most yachts. 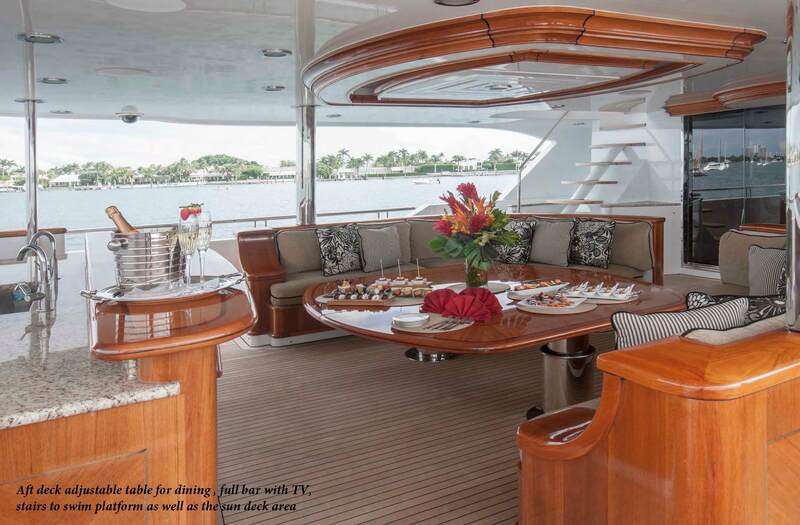 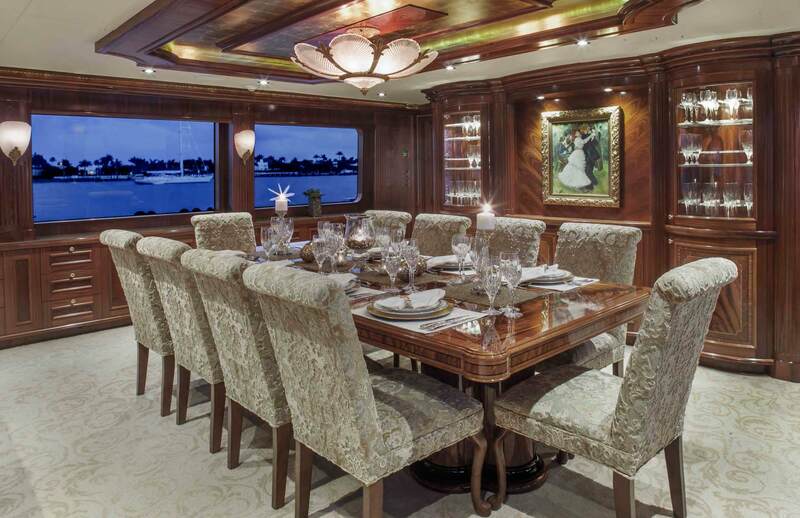 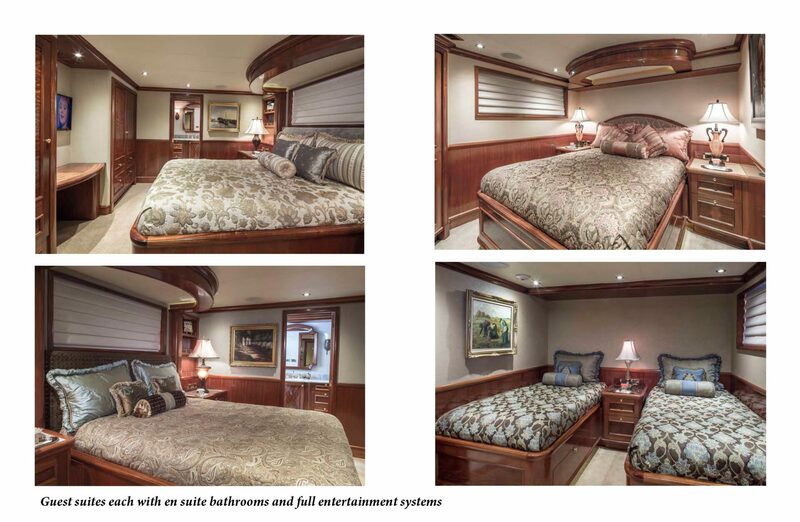 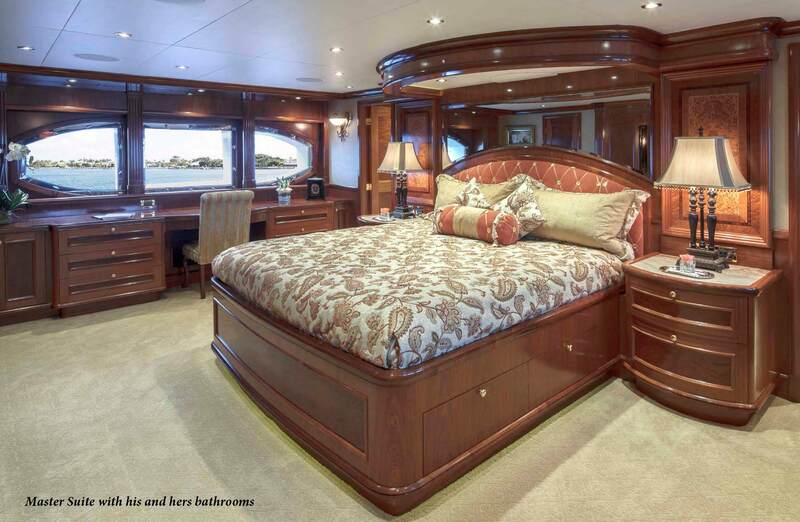 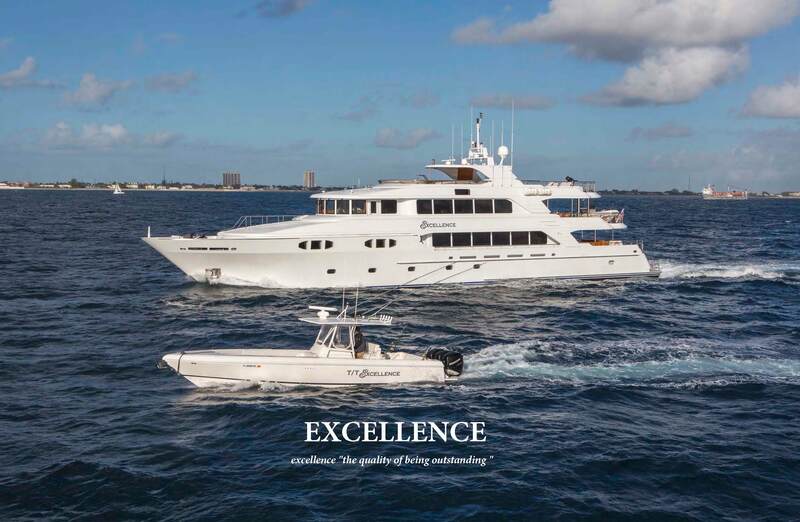 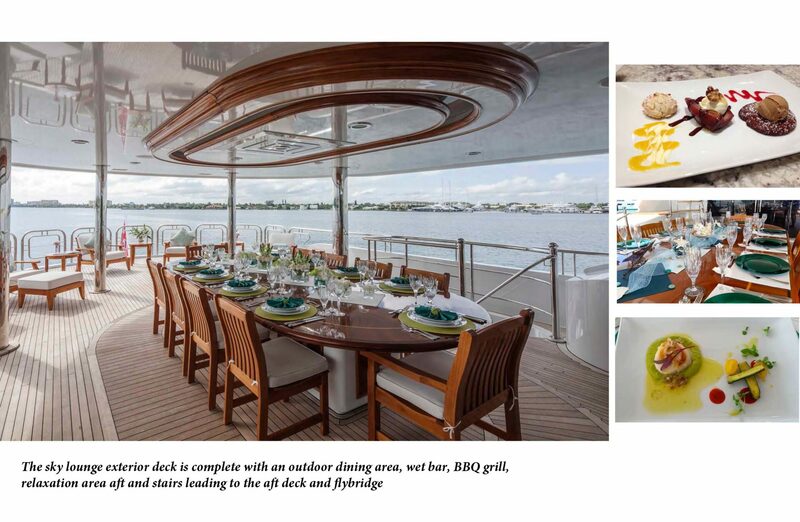 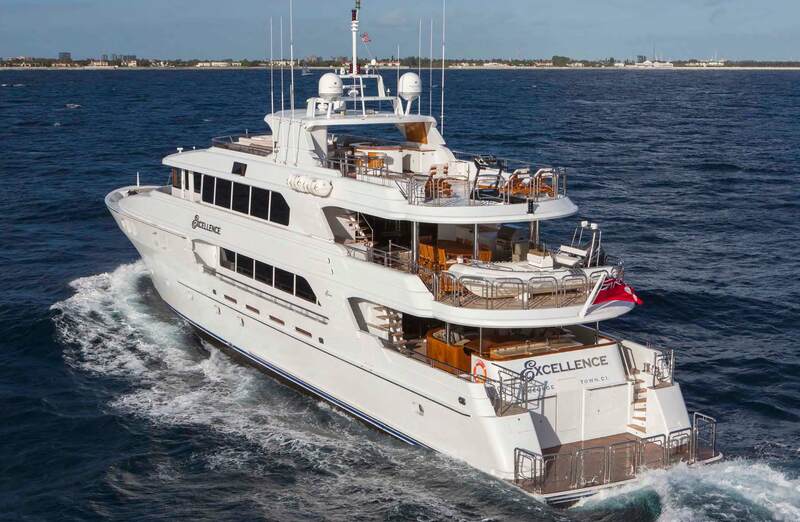 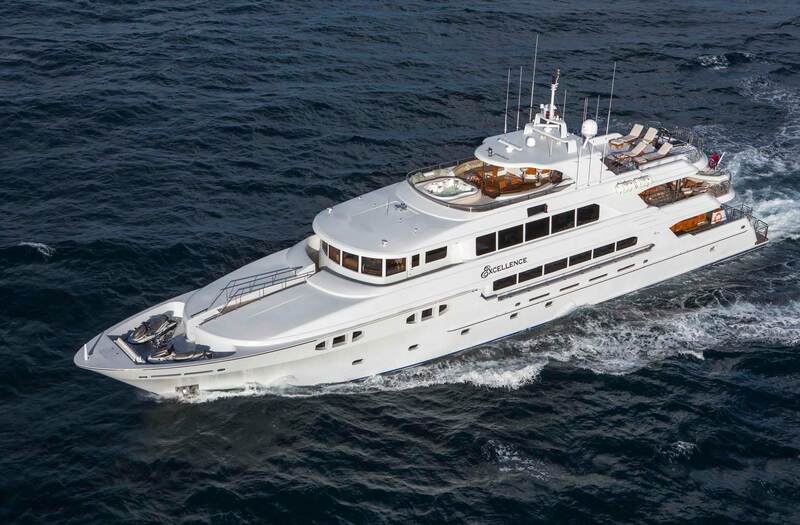 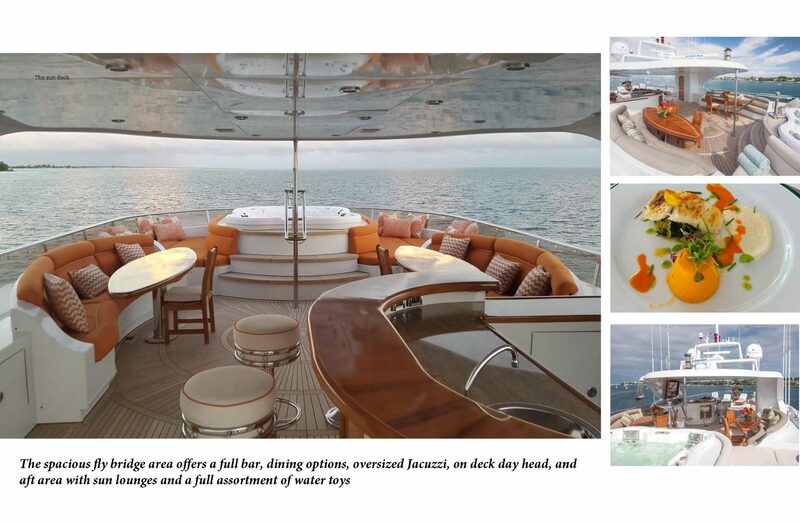 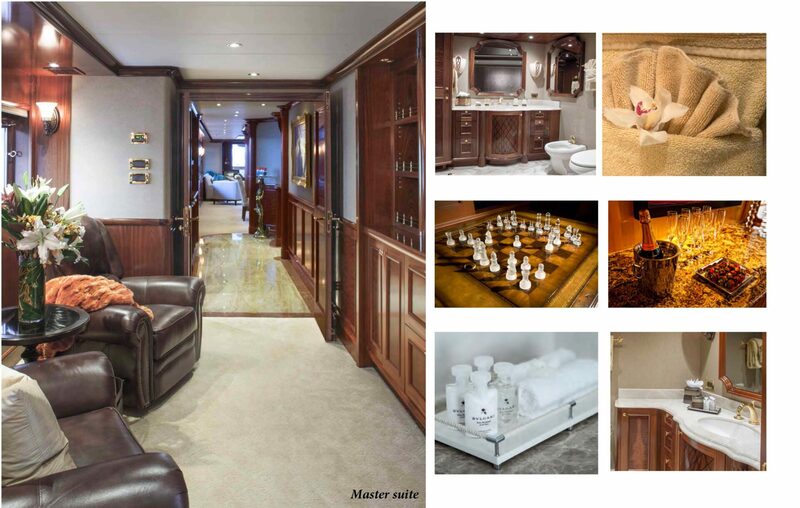 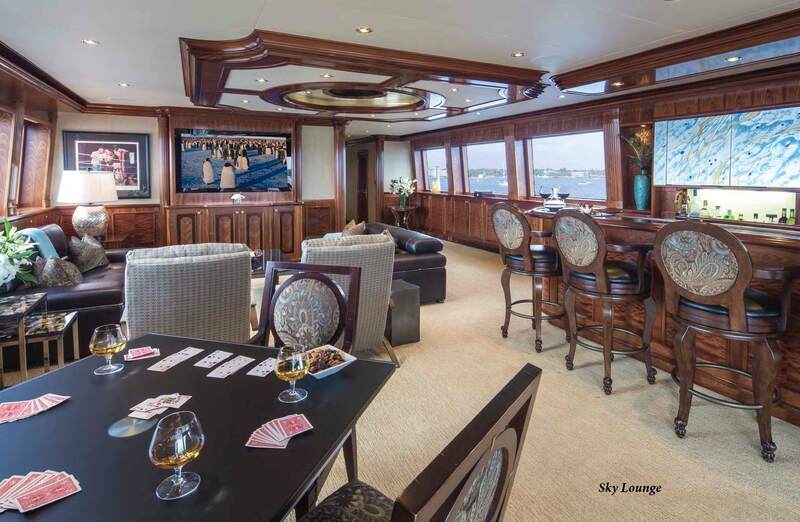 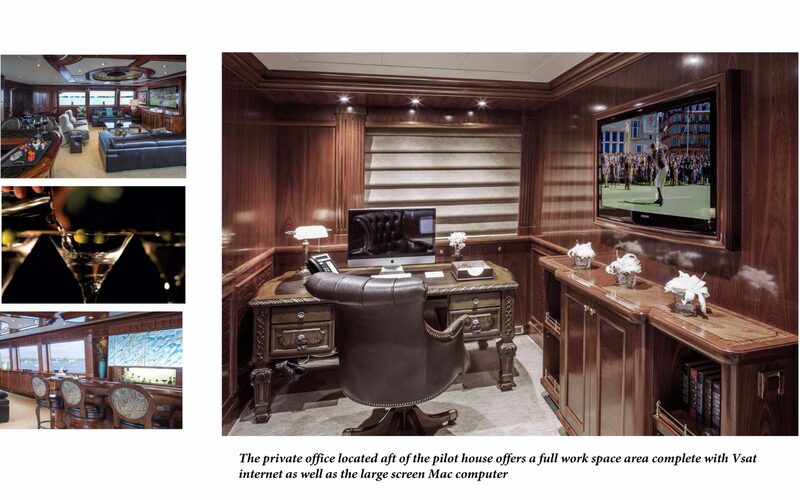 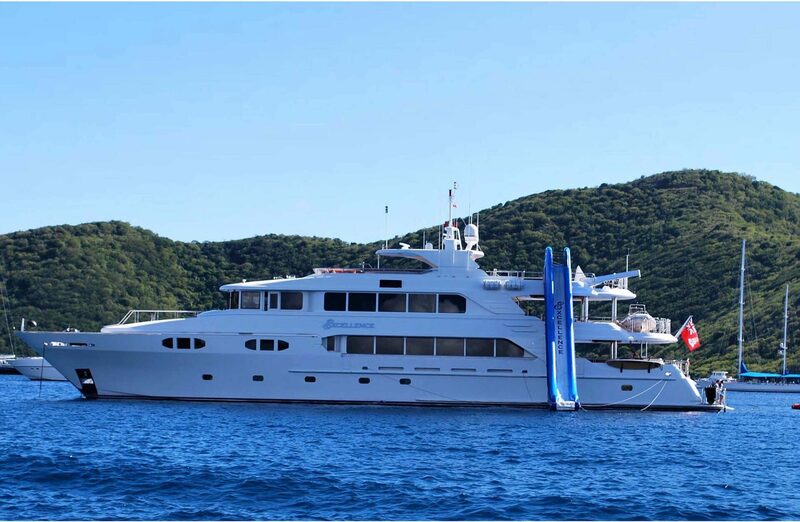 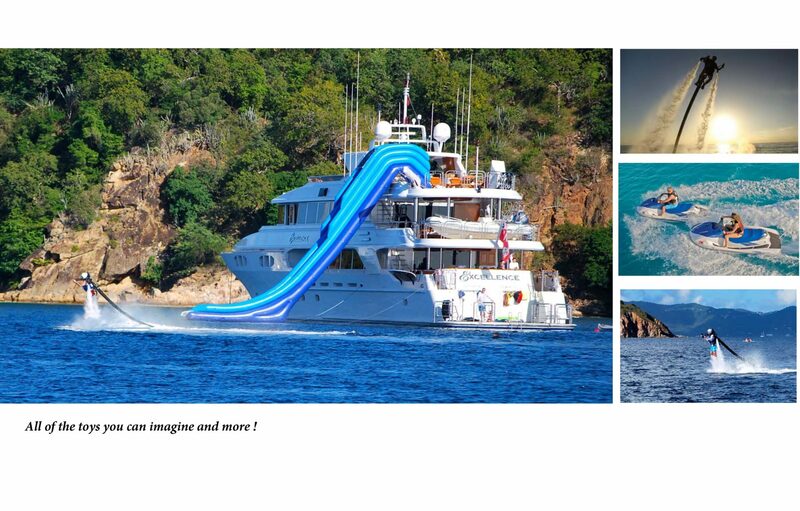 For the yacht’s 150 foot length and 38 foot beam, EXCELLENCE offers tremendous value for her $145,000 weekly price point and sleeps 12 guests in 6 staterooms, including four guest staterooms, located on the accommodation deck “below” – three with Queen, one with Twin…all with marble bathroom and all with Satellite TV. 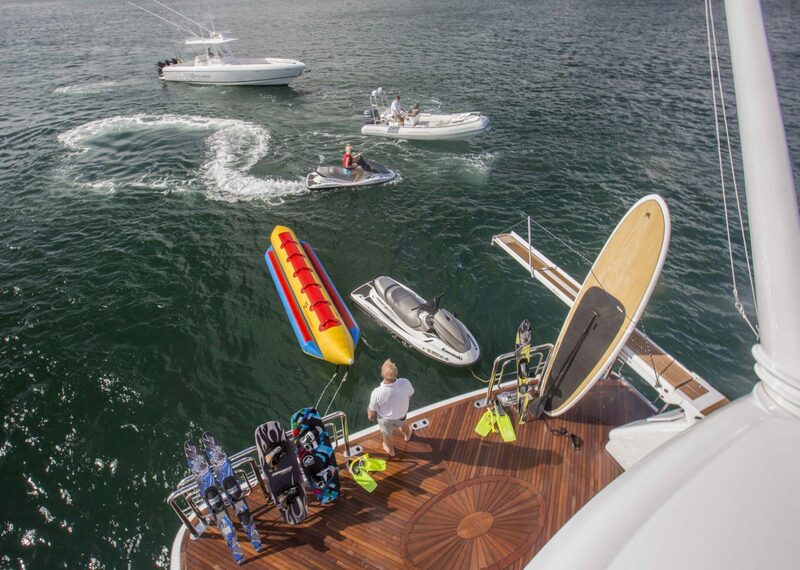 The yacht bases in St. Maarten during the winter, Florida and the Bahamas during the spring, and Newport, Rhode Island during the summer of 2017.